Moshi presents The Heritage Collection (F/W 2018), inspired by classic prep school styling. The limited edition collection features our Arcus photography backpack and Tego Sling Messenger in a nostalgic Vintage Brown. Ideal for any cross town excursion, Tego Sling Messenger blends functionality with a sleek minimalist design. The crossbody bag, wearable on the left or right shoulder, features a quick-release strap for easy access and an ActiveStrap for added stability on the move. A spacious interior includes a padded sleeve for laptops up to 13" and enough room for all your essentials. Available in three colors: Stone Gray, Charcoal Black and now Vintage Brown - Tego Sling Messenger is now available with an MSRP of $150 on moshi.com. 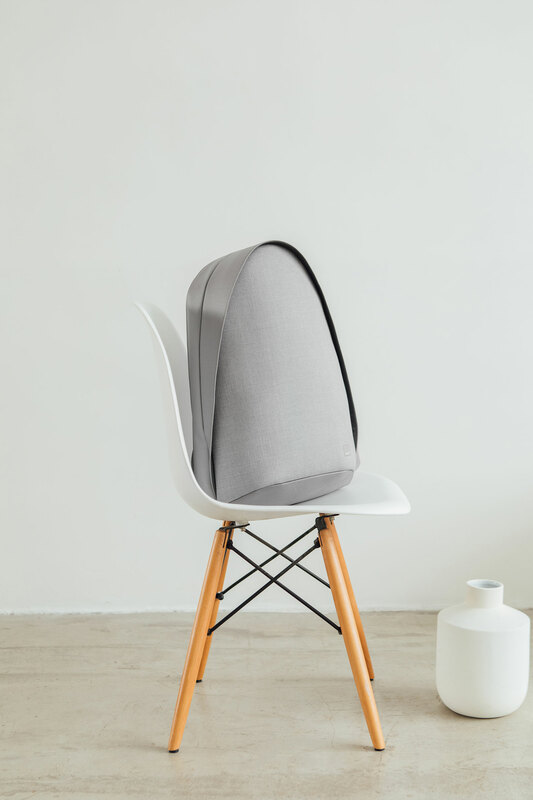 Inspired by the shape of an arcus cloud, Moshi's Arcus is a lightweight, full-sized backpack that carries all of your gear in a stylish and modern design. Its bold top contour forms a crush-resistant compartment for storing sunglasses, headphones, and other delicate items. Arcus' top-loading design unzips to reveal a main compartment spacious enough for a jacket, shoes, workout clothes, books, and more, while a side-loading panel offers quick access to difficult-to-reach items at the bottom. The full-length device compartment cradles your electronics such as a laptop (up to 15"), tablet, and smartphone with independent shock-absorbing pockets. The versatility doesn't stop there; a DSLR camera insert MSRP 50(sold separately) turns Arcus into a professional camera bag to transport your laptop, DSLR body, lenses, tripod, external flash, and other camera accessories on any photowalk or day trip. Available in three colors: Titanium Gray, Charcoal Black and now Vintage Brown - Arcus Multi-function Backpack is available with an MSRP of $225 on moshi.com.